M.2 connectors originally known as NGFF (New Generation Form Factor), become gradually more popular over the form factor MiniPCIe and are used as a standard in computers, communication equipment, and M2M applications. 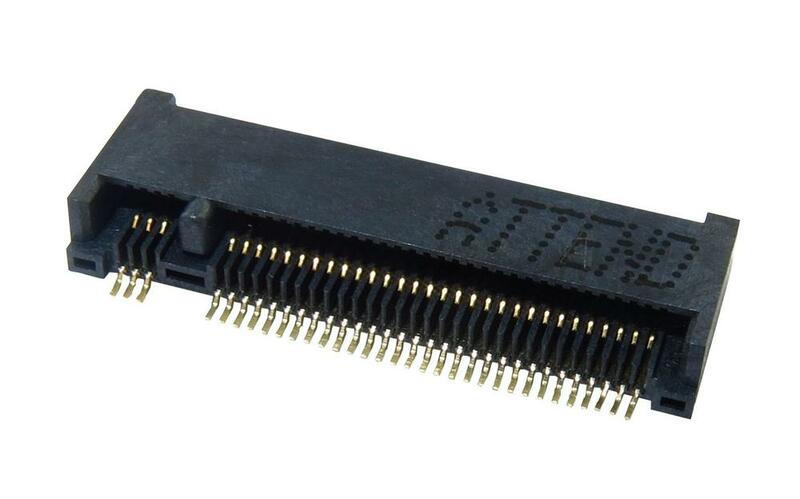 The main advantage of M.2 connectors, we chose the 123A Series from ATTEND, is the implementation of PCI Express 3.0, Serial ATA 3.0 and USB 3.0. buses into one connector. This eliminated the limitations of SATA interface. 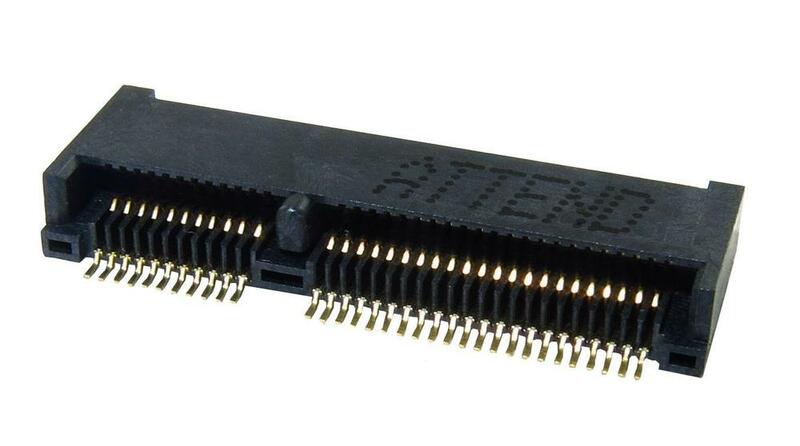 The connector is considerably miniaturized and at the length of only 21.8 mm, it has up to 75 pins (0.5mm pitch/ 50V/0,5A). 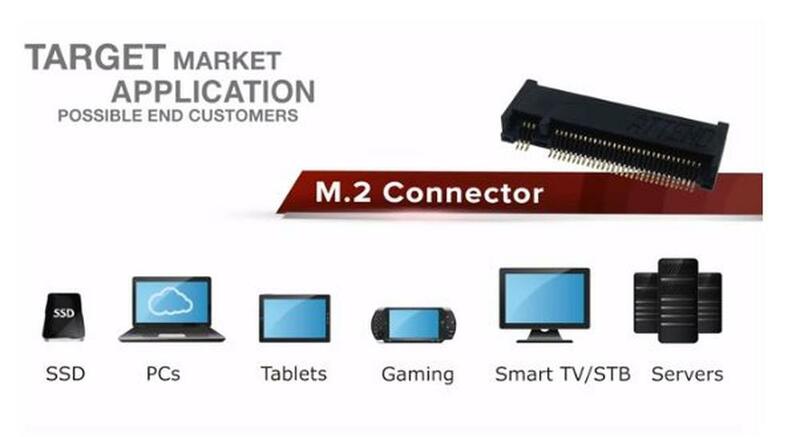 M.2 connectors are designed as a standard for SSD memory media, WiFi, Bluetooth, GPS/GNSS, NFC, and other modules. An important fact is that connectors are produced with various keying (A-M). 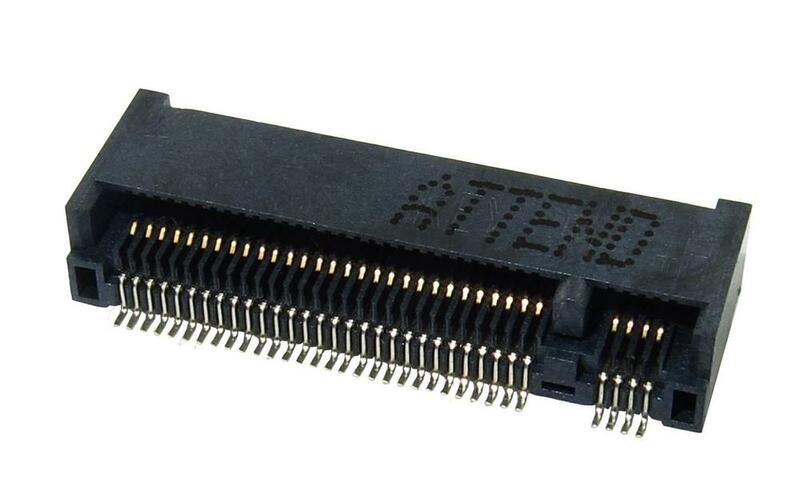 That provides a possibility to differentiate various modules on one board and prevents improper connection (PCIe x2, PCIe x4,...). There are 12 different keys in total, but e.g. SSD modules typically use only 2 of them - B, M, and combination B+M. M.2 connectors are designed for direct insertion of PCB, i.e. one part of the connection (M) is the PCB and another part is the connector (F). Connectors support various PCB widths - 12, 16, 22 and 30 mm. Depending on a type, M.2 connectors also enable double-sided assembly of components on the PCB. There is a nomenclature (on the next picture) for specifying the modules for M.2 sockets. The code defines the size, maximum height of components, single or double side assembling and the keying. 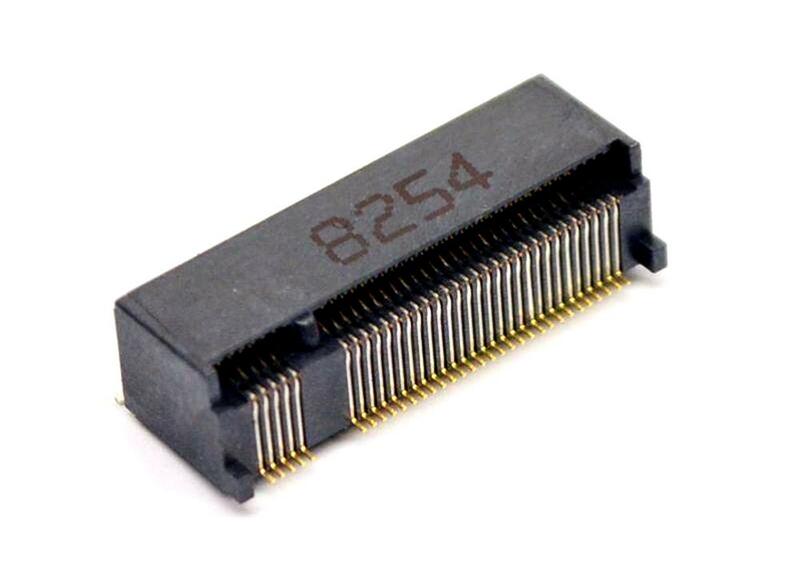 We offer modules in form factor M.2, which are suitable for connectors 123A from Attend. It is mainly industrial SSD modules from APACER in two sizes - 2242 and 2280, and with capacity from 32 up to 120GB. Other M.2 modules available from our assortment are communication modules from QUECTEL. They use LTE technology and have space-saving M.2 form factor. They are ideal for M2M and IoT applications. Selected M.2 connectors from 123A Series from ATTEND can be found in our stock. They are available in 3 different sizes (heights). The height 3,2mm is available with keying A, B, E, and M. Version 4,2mm with keying B and M and the version 5,8mm only with keying B. Any other version of connectors from 123A Series are available upon request.